Hatt Adventures is an activities company based in Brighton in the South of England. 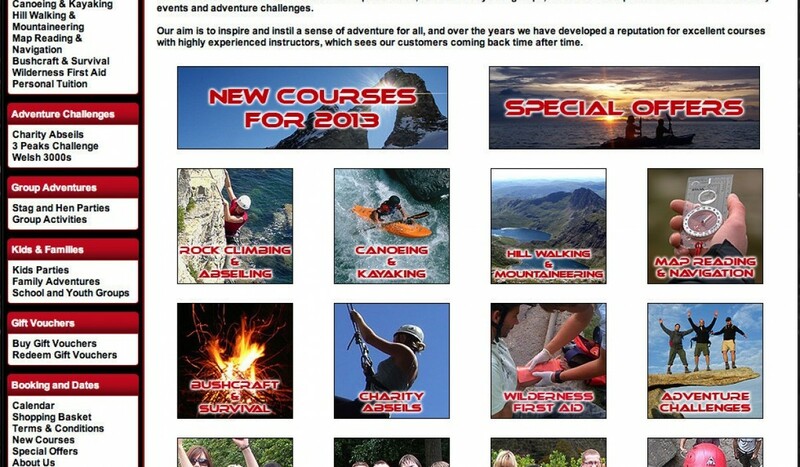 Hatt Adventures run various outdoor activities courses for individuals and businesses. I took on this project in the middle of 2009 and started work on redesigning the visual look as well as rebuilding the back-end course and order management systems. Some areas of the site have been improved and upgraded while others have been completely rebuilt. The site features a cms which allows for full control of front end content and an ACL to control access to sensitive details for the sites different admin users.